Tigrilla Gardenia has always had a fascination with sound and the way things work. With a degree in music engineering and electrical engineering in hand, she has been employed at RealNetworks and Microsoft enabling music and art through software and as a music engineer; she co-owned a circus, produced intentional dance and spiritual events, and toured with Cirque du Soleil. These experiences have enriched her abilities and enabled her to cultivate a unique perspective on the interaction between sound, humanity and nature. With her roots firmly planted in the arts and as an international teacher of Kabbalah, she arrived in Damanhur, Italy —one of the largest spiritual eco-communities in the world—on a mission to discover what we can learn from the plant world and how they perceive the world. It was natural that the Music of the Plants would become her main research tool. Traveling as an inspirational speaker, Plant Perception Researcher and the Communications Manager for Devodama, she has oriented and connected with thousands of trees as part of Damanhur’s “Global Tree Network”, each time learning something about their subtle world. Her research is centered on giving a voice to the consciousness of the plant world and how #natureinthecity is fundamental for healthy, happy and sustainable living. For Tigrilla, daily life and her passionate research are one in the same. Damanhur is one of the world’s major eco-spiritual communities, and they have been studying the music of plants for the last 30 or 40 years. 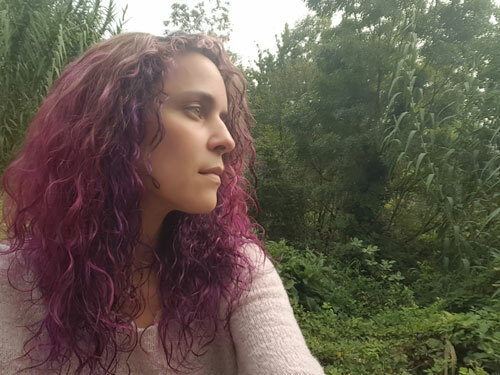 Tigrilla Gardenia is the communications director of the Music of the Plants project at Damanhur, and during our interview, we discuss how plants communicate and the music that they produce. We played music actually composed by various plants, including Birch, Chestnut, and fig trees, as well as roses and grasses.